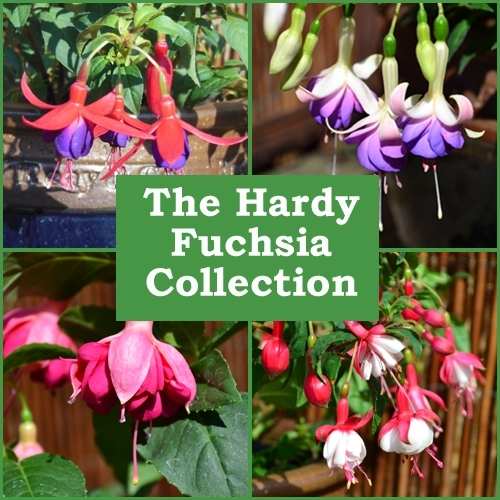 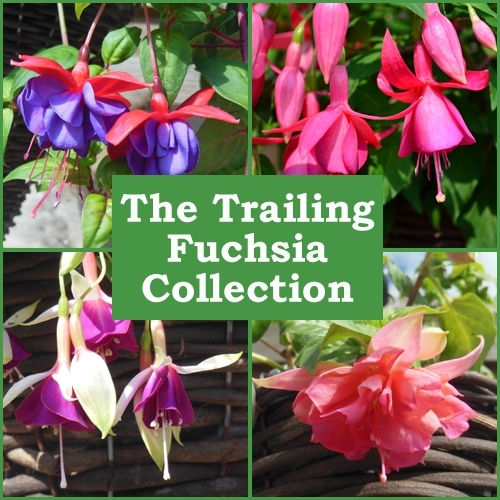 A collection of 6 different trailing fuchsia plug plants, all with a coloured label naming each plant. 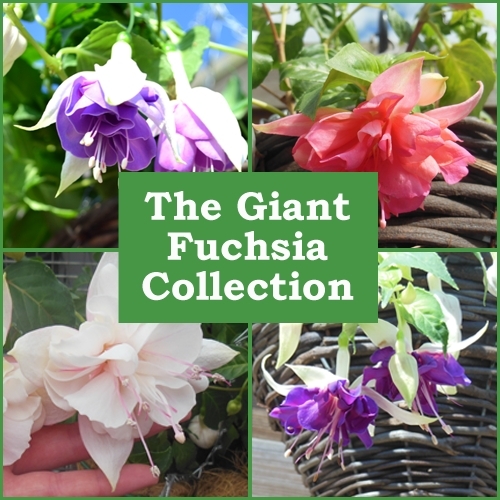 They are ideal for tubs, and baskets. 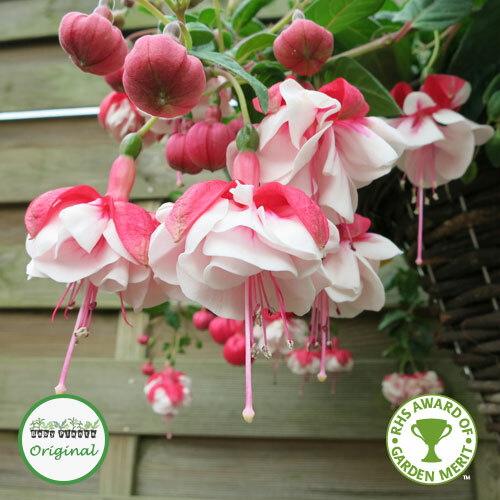 Plant at the side of tubs and baskets, and they will grow over the side, producing a waterfall of flowers. 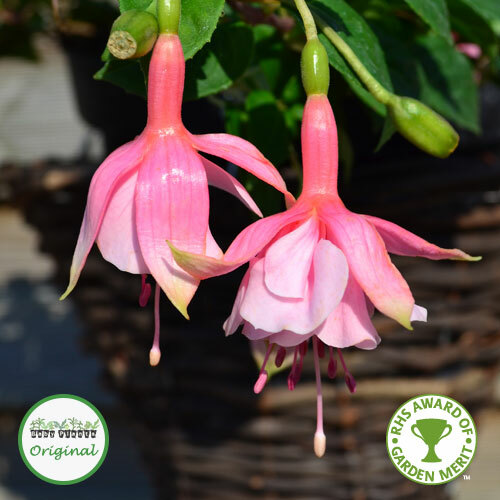 With the individual labels, it will be easy to remember your favourites for next year!